Heat oil in a wok over high heat and stir-fry garlic and chillies. Add the pork mince and stir-fry until almost cooked. Add sauce and stir-fry until well combined. Add the basil leaves and stir-fry until just wilted. 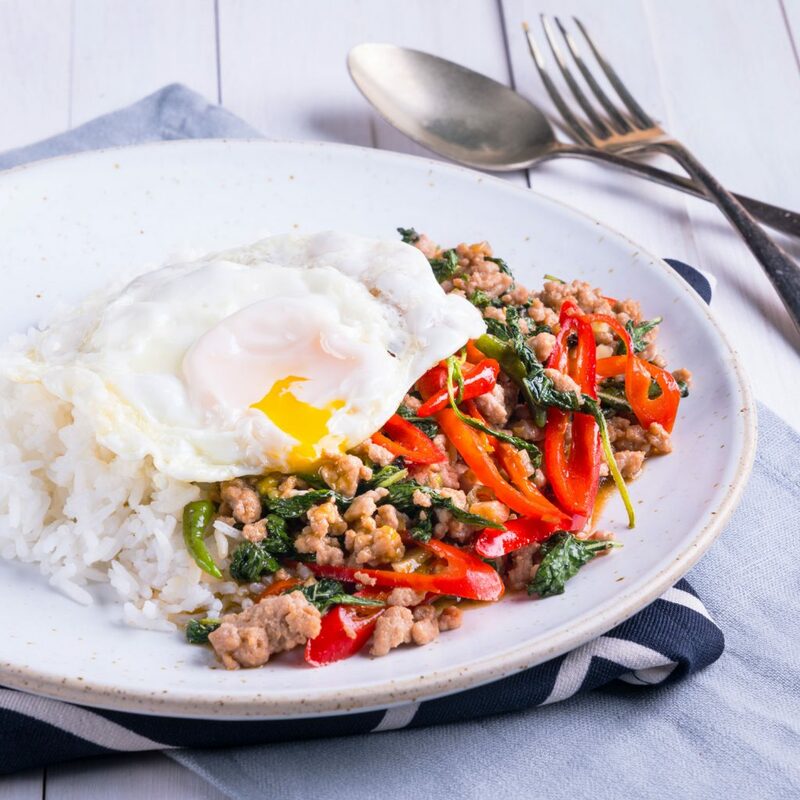 Serve alongside rice topped with fried egg. Use large chillies for mainly colour and use the bird’s eye chillies for heat.